Grace Ackees is as good as it gets. 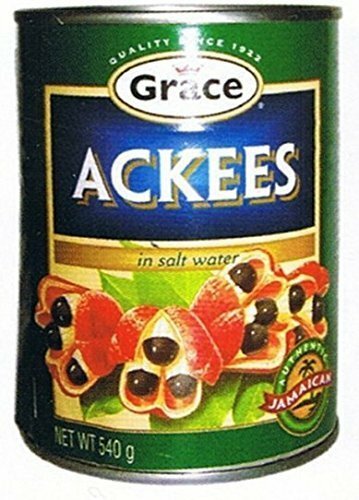 Packed in salt water Grace Ackees is imported from Jamaica. Ackees and saltfish is the national dish of Jamaica. Ackees is a fruit yet often prepared like vegetables. They are bright red in color with black seeds.